Rapper and entrepreneur Kanye West continues to push the boundaries of conventional performance, announcing a new tour that will be available to audiences in one medium only: virtual reality. The new tour, simply titled “Vision”, was announced late in the evening on Friday by West. The tour will involve West performing in various iconic locations around the globe, surrounded by a ring of 360-degree cameras enabled to capture the entire show in 4k resolution for VR. A shortlist of locations that was teased included such venues as the statue of Christ the Redeemer in Rio de Janeiro, the observation deck of One World Trade Center in New York, and the fountains at St. Peter’s Basilica in Vatican City. 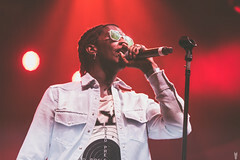 According to West, there will be no crowds for the performances — just the rapper, the environment, and a global virtual audience. 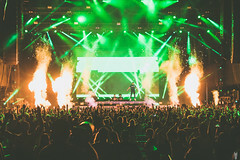 Details are still limited regarding accessibility to the events in question and what sort of hardware would be required to view them, however West’s record label GOOD Music has publicly stated that they would not be developing or including any sort of virtual reality kits with ticket purchases. Additionally, tickets will be sold in a highly unconventional format for the event. Audiences with the necessary equipment can choose to purchase the “Vision: Revelation” option at a price of $300, which will grant them one-time use access code to be entered the day of their desired event, allowing them to view the entirety of that performance from their headset. 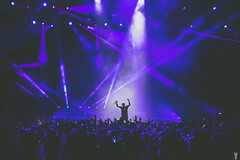 Alternatively, die-hard fans can purchase the “Vision: Rapture” package at a cool $1,000 and gain access to the entirety of the tour’s performances. Editor’s Note: Congratulations, you played yourself. Happy April Fool’s Day from the MEB fam to yours.